Strawberries haven’t been my favorite fruit until recently. 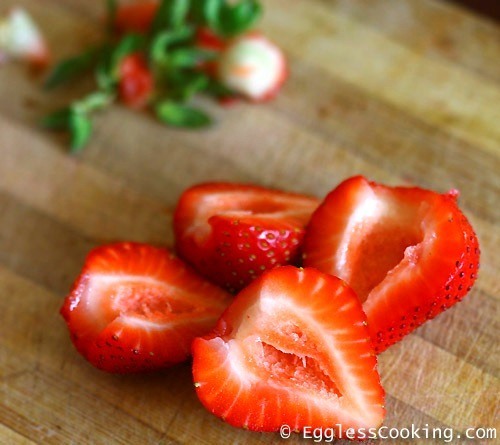 I hear a lot of you gasping “what’s not to like in strawberries”. I think the reason might be that back at home they weren’t prevalent like bananas and grapes. We were not used to that taste and texture. I know that it’s not the situation now. I see fellow bloggers blogging from India using a lot of Western ingredients. So during the initial years in the US, I rarely bought strawberries. If that’s the deal with strawberries, don’t even think about blueberries and the other members of the berry family. It has taken me close to 6 years to start liking some of the berries. Even now I’m not fond of blackberries and raspberries. My least favorite was blueberries but I have overcome it and I feel that blueberries and I have a special connection because anything I bake with blueberries is a huge hit. Because I didn’t like the fruit I really didn’t bother to know how to eat it right. I didn’t know that strawberries had a hull and it had to be removed before eating the fruit. I was simply cutting a small portion of the top which had the leaves and used the rest of the fruit. 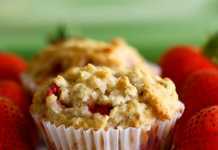 Only while looking at a few recipes which mentioned hulled strawberry I knew that such thing existed. After that I learned what hulling was. But between you and me, I really don’t see the point in hulling the berries because I haven’t noticed any difference in taste between hulled and un-hulled strawberries. Maybe it’s just for aesthetic reasons, or maybe in certain recipes the inner white part (hull) might affect the taste of the food. 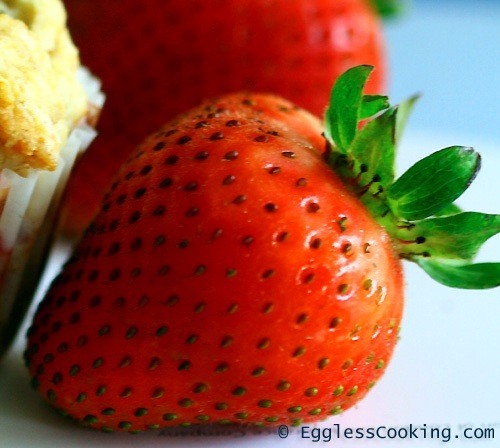 So whatever the reason might be if you are one of those who is wondering how to hull a strawberry then this post is for you. There is a specialty equipment for everything these days, so no wonder that there is a strawberry huller, just like there is a cherry pitter too. But don’t bother buying it because you should be fine with just a paring knife. There are a couple of ways to do it and the ultimate goal is to remove the hull without wasting a lot of fruit. For starters, you can slice off a very small portion of the top which has the leaves. Then you can see a circle on the fruit. 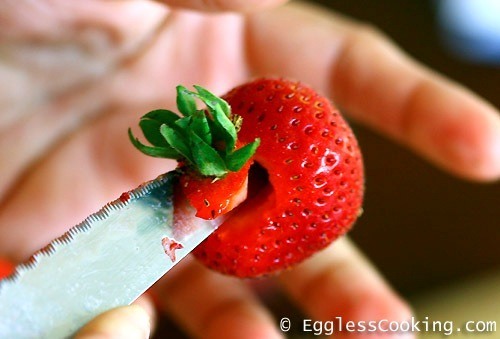 Simply insert a paring knife inside the strawberry and run it around that circle and you should be able to pull the hull off. Another method is to run the paring knife around the leaves by inserting the knife inside the fruit and completing one full circle thereby removing the hull with the leaves. 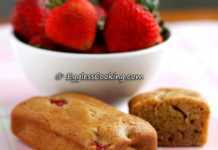 In this method there is almost no wastage of edible portion of the fruit. 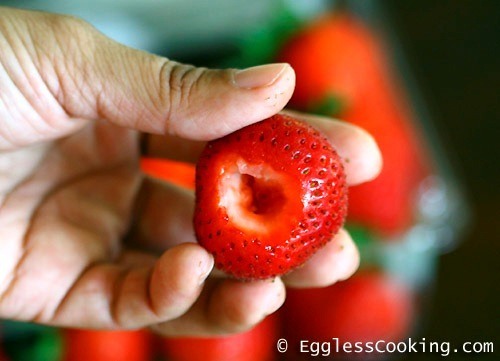 But in my experience I see that the entire hull comes out very clean in the first method where a small portion of the top of the strawberries is sliced off. It’s your call! Now that we know how to hull a strawberry, does anybody actually know why it is hulled? Do you hull it or not? Share your views below. 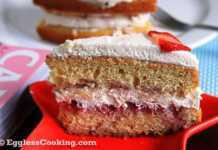 Previous RecipeWhy does fruit sink to bottom of cake? I’ll hull and use this easy tip. To easily remove the hull simply use a straw. 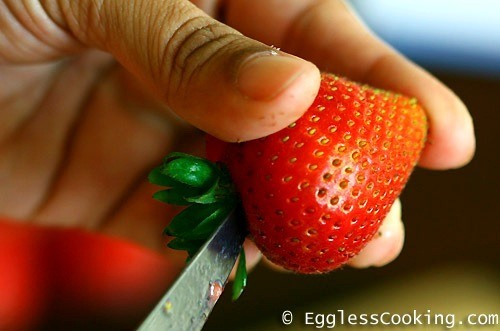 After you wash the berries, take a straw and push it up from the bottom point of the strawberry. The hull and stem will come out on the end of the straw, leaving a perfectly hollowed out strawberry. Thank you very much for the tip Nancy. I didn’t know about this one. I hull. Why? Because that part is fibrous and is more like a stalk rather than anything else. I use an apple corer which does a better job than a knife since it is already rounded. But doesn’t the apple corer take away a lot of fruit? No. It just takes whatever you want to get rid of. I have the one which is like a melon baller and smaller in size with ridges all around. I do it the same way…nice clicks!